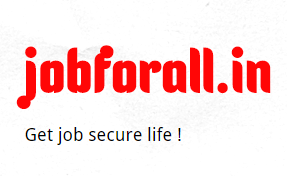 jobforall.in is a jobsite which provides all types of new job opening information, which is helpful for young generation those who want to make career in different fields as Govt, Banks, Defence, Railways and so on.jobforall.in is gradually becoming one of the top choice for Indian people to find the job of their choice and all the tips to get the success in the job. We at jobforall are committed to provide all the latest job opportunities in India. We continuously monitor all the new jobs available throughout the India and make these available on our website for you. You can search the job of your choice on our website with the help of different categories or even search option. We provide the job alert for all the government jobs, public sector jobs, railway jobs, private jobs . Other than listing the jobs, you can even find number of current affairs , review , exams results etc. so that you can find all the solutions on one single platform.